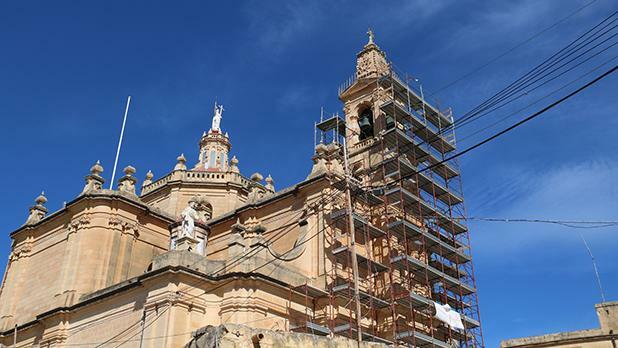 The parish church of Fontana is undergoing a restoration project on its facade, the bell tower and the church parvis. 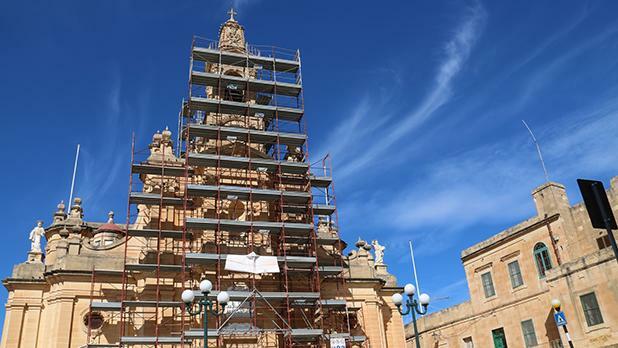 The project is part financed by the European Union after appeals by the current parish priest John Muscat and previous parish priests. The chruch, built in 1905, was showing signs of deterioration on its facade and the bell tower and many were those who voiced their concern regarding the safety of the church, which is dedicated to the Sacred Heart of Jesus. The project costs €223,528. The parish will be forking out €52,285.54. €23,180.16 were already collected, but the sum of €48,252.07 is still to be funded. Fr Muscat would like to thanks all those who already gave their contribution. He is now appealing to all parishioners and other benefactors to make their contribution to see the project through.